The world’s most recognizable talent will gather at the MGM Grand Hotel & Casino during EDC week as WET REPUBLIC Ultra Pool hosts EDM’s biggest names. Tiësto, Zedd, Steve Aoki, Martin Garrix and other heavy hitters are booked to perform in front of thousands of attendees as Las Vegas’ best pool party on The Strip celebrates another year of the Electric Sky. 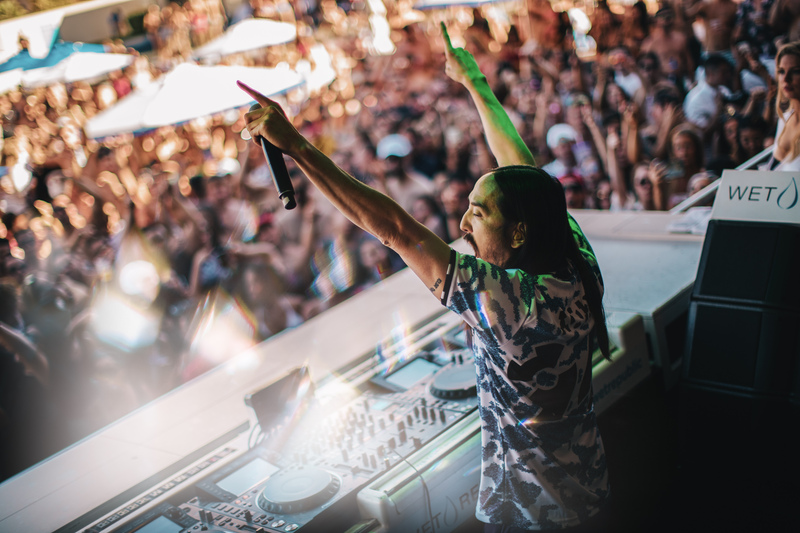 Starting fast and finishing faster, Steve Aoki’s show on Thursday, May 16 looks to set an exciting tone for guests as his label, Dim Mak strives to closeout festivities with an official takeover on Monday, May 20. Guaranteed to push the party into another stratosphere, Zedd’s Friday, May 17, DJ appearance will be the place to be for fans. Following into Saturday, Tiësto looks to bring the “Boom” while Martin Garrix returns on Sunday, May 19. For tickets, bar cards and VIP bottle service packages to undoubtedly the best party on The Strip during EDC, please visit this link.